Specialists in the development and production of biodegradable biocides. Nature can provide us the best and the worst. On the one hand, it caused problems, and on the other, it gives us solutions. It is important to know how to combat the dangers without creating new problems. At BBZIX, we develop products every day that overcome the microbiological challenges faced now and in the future. WE PROMOTE INNOVATION IN ALL AREAS OF OUR WORK. WE ARE CONSTANTLY WORKING IN RESEARCH AND DEVELOPMENT. WE ARE SPECIALISTS IN DISINFECTION. ALL OUR PRODUCTS ARE BIODEGRADABLE AND HAVE BEEN TESTED AND REGISTERED. In this sector, quality stands out when it obtains the expected results. Our exclusive formulas enable us to provide our clients with products whose proven efficacy brings solutions that also adapt to the user’s needs. Zix formulas are a guarantee of success. 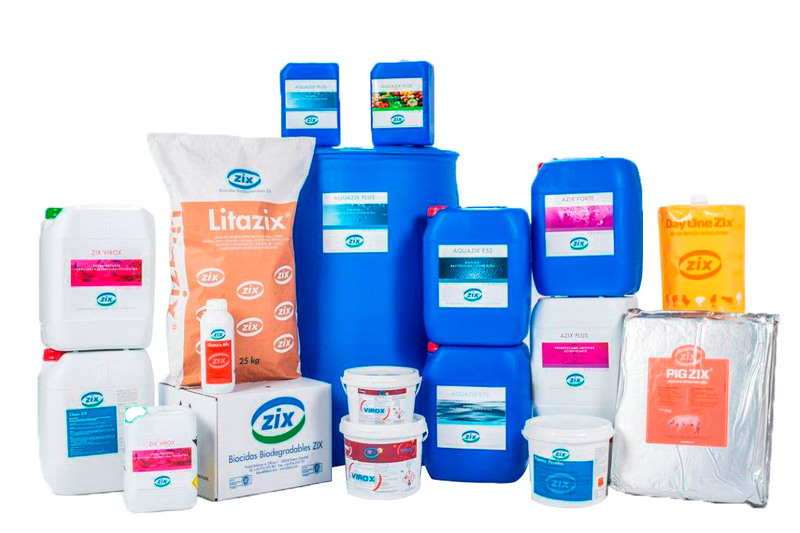 At BBZIX, we formulate and develop our own products in our RD&I department, where we concentrate on 6 very different categories: biocides, animal nutrition, human food, zebra mussel, agriculture, and water treatments. All the products we sell are subjected to strict quality controls and comply with current EU quality standards, rules and regulations.